How to Heal from Surgery Naturally - Elizabeth Yarnell, naturopathic doctor specializing in food sensitivities (MRT, CLT), health, diet and nutrition speaker. Hi Xara! Ouch! Luckily, regardless of where the surgery occurred on the body, there are some natural remedies for recovering from surgery that you can use to help speed your healing and feel better. While I suspect that apple cider vinegar might sting an open wound –though can be helpful for loosening scabs later– my go-to herb is Calendula when addressing broken skin. Coat the wound with calendula oil or jelly and then cover with a bandage. Change the bandage 4x/daily while the wound oozes. Colloidial Silver can also be helpful to use on an open wound for its antiseptic and healing properties. Apply it before the calendula. 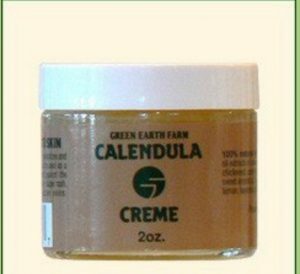 Once the wound stops oozing, continue with the calendula and also coat with Vitamin E frequently. You can continue to keep it bandaged, but better to leave it open to air as much as possible. For your wounds, I might suggest wearing an organic cotton pantiliner during this time. There are also some homeopathic remedies to help you with the pain from the tissue trauma. First should always be Arnica Montana to address the bruising and swelling from the procedure. You could start with one pellet of Arnica Montana 200C underneath the tongue and then take a 30C pellet if you have any more pain, but if you don’t have the higher level, just take a 30C pellet every 4 hours for a day or two, then only if there is continued pain. Homeopathic Ledum is helpful for puncture wounds and surgeries. Take one pellet of Ledum 30C underneath the tongue as soon as possible after surgery and daily for the next several days during healing. Even though your surgery was a week ago, Xara, you could still benefit from Ledum. Whenever you are post-surgery, taking additional Vitamin C and Zinc are recommended. I would do a big boost of 1000 mg of a Vitamin C complex for several days to speed healing. It also wouldn’t be a bad idea to take Vitamin D3 (be sure to take it with a fat for better absorption). Calcium, Sulfur, and Magnesium, too, if a broken bone is involved. Best of luck for a speedy recovery!